Robert Blitz is a founding member of the firm. His practice focuses on the areas of trials and appeals. Bob’s continued success across the nation has earned him his reputation as a well-known and respected member of the trial bar. 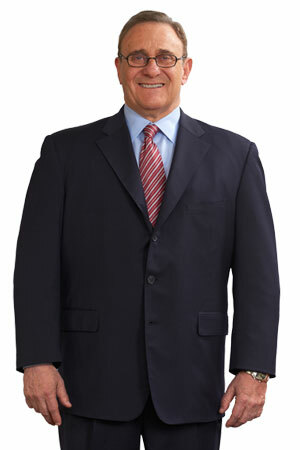 He has had great success in both defending and prosecuting business and commercial disputes, with his verdict and settlement numbers exceeding $300,000,000, including breaches of contracts, real estate, securities, first amendment, entertainment, employment and other business-related cases. Bob has also successfully represented clients, individual and corporate, in construction, restrictive covenants, and Title VII cases and contract, discrimination, trade secrets, business torts, land use, entertainment, and other complex civil business litigation. He has represented more than 100 cases, which he has tried to verdict or judgment and many more in which favorable settlements were received for clients. Bob holds many awards including Best Lawyers in America, Super Lawyers, Best Lawyers in St. Louis, Attorney of the Year by Lawyers Weekly and Largest Verdicts and Settlements in the State of Missouri.